HONOLULU -- Five people died in a fiery plane crash on Kauai Monday morning, officials said. 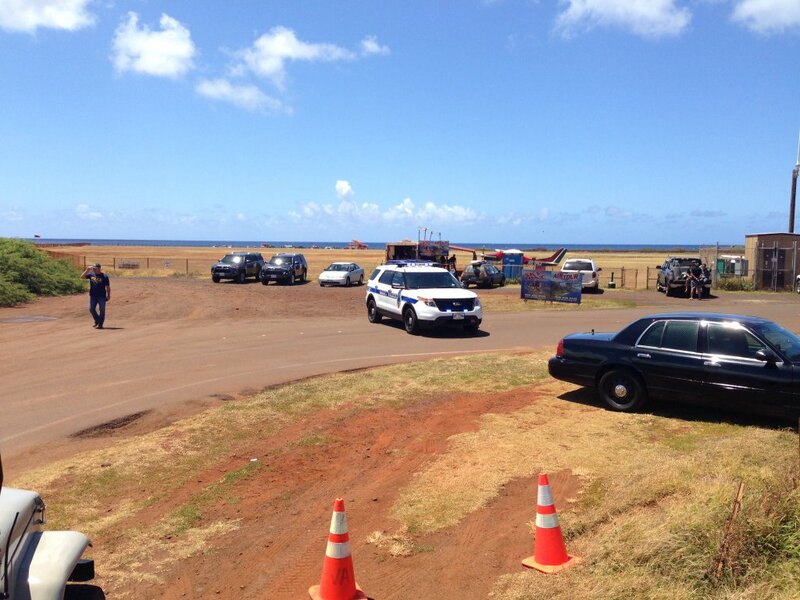 The small plane crashed about 9:30 a.m. during a skydiving tour just outside Port Allen Airport, the Kauai Fire Department said in a statement. The pilot, two skydive instructors and two tandem jumpers were believed to be in the plane. Authorities said the plane that crashed was a single-engine Cessna 182H, CBS affiliate KGMB reported. Four of them were pronounced dead at the scene and one man was taken to Wilcox Hospital, where he was pronounced dead. The group was believed to have been part of a tour operated by SkyDive Kauai, county firefighters said. The company offers tours from Port Allen. SkyDive Kauai is listed in state documents as a trade name for D & J Air Adventures, which FAA records identify as the registered owner of the aircraft. Company President David Timko said he didn't have any comment because the crash is under investigation. But he said he offers his condolences to the families of those killed. A witness told KGMB he could see what looked like a brush fire with heavy smoke. The public is asked to avoid this area. Port Allen Airport is primarily used for scenic helicopter tours, ultralight aircraft traffic and skydiving, according to its website. The National Transportation Safety Board will work with officials to determine the cause of the crash. The Federal Aviation Administration will investigate. FAA spokesman Ian Gregor initially said it was a single-engine plane made from a kit. However, he later said he received wrong information. Details about the plane involved in the crash weren't immediately available. Officials asked the public to avoid the area.